It is very unfortunate that there should be an obituary section on the website but we feel that the closure of clubs and the passing of their once important place in their local communities should be marked in some way. 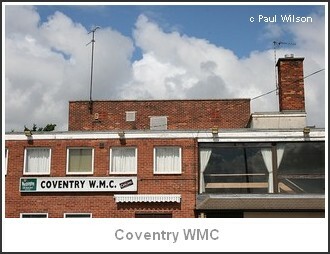 The beginning of August 2008 saw a very sad occasion as Coventry Working Man’s Club, one of the oldest in the country, closed its doors for the final time. Like many other clubs up and down the country, it had been struggling with changed social, economic and cultural circumstances which saw its membership severely reduced and financial troubles greatly increased. At one time, the Coventry Working Man’s Club, known locally as the Cox Street Club, its long standing venue until 2000, when it moved to nearby Whitefriars Street, was the main club in the city centre. In its heyday in the 1970’s, it boasted a luxurious concert room as games facilities. It attracted visitors from all over the region, not just Coventry, and hosted local games leagues meetings which were attended by hundreds of men and their families. At weekends, people would queue to get in and there was a waiting list for membership. 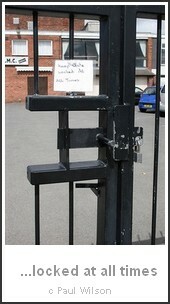 All this is history now as the gates are firmly locked. Industrial decline and social change started to affect all clubs in the city, as elsewhere, from the late 1970s with less money for entertainment and leisure patterns changing rapidly. Increasing complexity of laws affecting clubs, such as Health and Safety, Gaming and Gambling, Licensing and so on, discouraged younger people from taking up committee jobs. Competition from cheap supermarket alcohol and the smoking ban introduced in July 2007 also had a negative impact for the Coventry club, as with others. Graham Shields didn’t want to be the last secretary of this long-standing club and had hoped for some leeway. But the debts couldn’t be paid that in the short-term and the credit crunch and increased utility costs only worsened the situation. Local people who had booked the function rooms were suddenly faced with having to find an alternative venue with hardly any notice. Three couples who had planned their wedding receptions there for August were devastated to find out that they could not use the club after all, with only a few days notice to make other arrangements. ‘The shock closure’ was a ‘nightmare’ according to Kelly Baker, due to get married on August 16th, who spoke to the Coventry Evening Telegraph about her disappointment. Many people across the city were devastated in Coventry, a city once referred to as ‘the Queen of Club Cities.’ Other clubs at the time of writing are also in serious trouble and looking at similar sudden closure unless some sort of assistance is forthcoming. *There has always been some dispute about whether it was Coventry or Walthamstow working men’s club that claims the status as the oldest club with both being founded around the same time.